Use this deluxe robe to build your own scary costume! 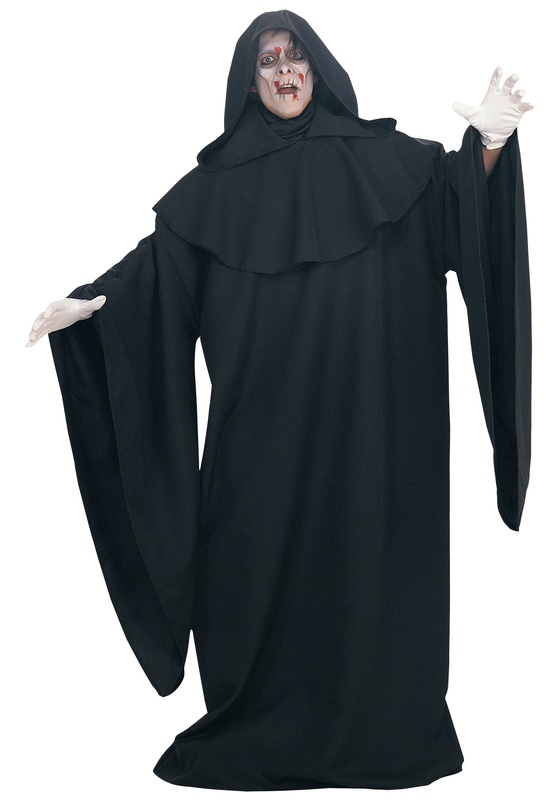 The long, black robe is made of 100% polyester and has open sleeves that drape down. The robe slips over the head and ties at the back of the neck. A black hood with a cowl neck is also included. The hood has a tie at the back of the neck. You can wear this versatile robe as part of a vampire, sorcerer, or Grim Reaper costume!